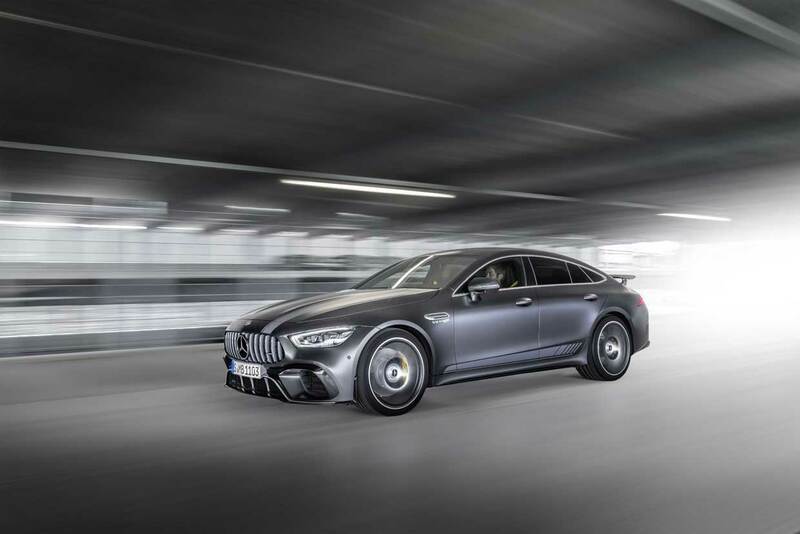 To kick off its new AMG GT 4-Door Coupé, Mercedes has announced a special first edition version of the car, the Mercedes-AMG GT 63 S 4MATIC+ Edition 1. The car is offered in Designo Graphite Grey Magno, Diamond Bright White, or Graphite Grey Metallic. Sports stripes and other visual tidbits are available on the outside. Under the hood, it packs a 4.0L twin-turbo V8 making 639 hp and 663 lb-ft. of torque. 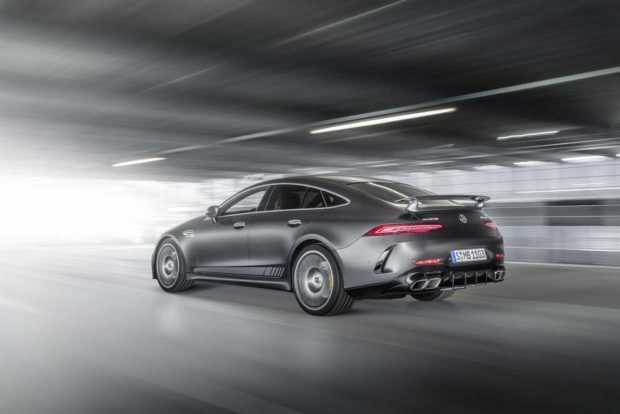 That power will go to all four wheels via an AMG Speedshift MCT 9G transmission, launching the hefty 4500+ pound car from 0 to 62 mph in just 3.2 seconds. As much as this car is about performance it is also about style. 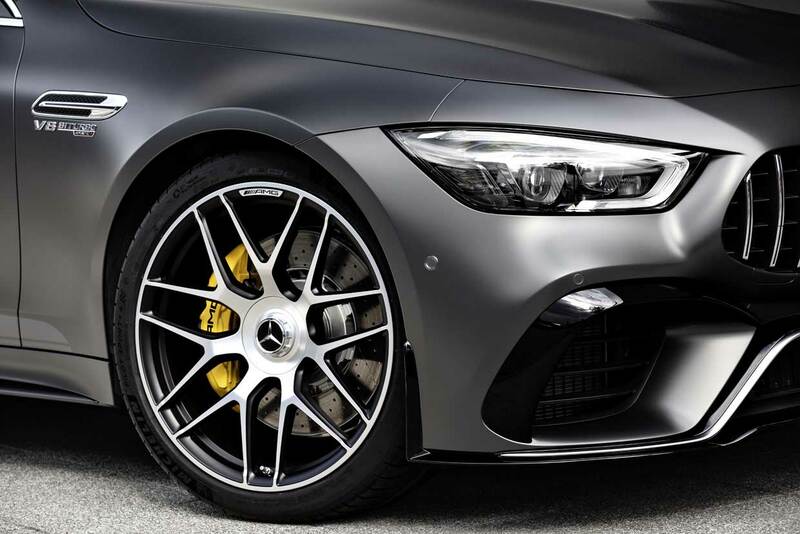 All Edition 1 cars get an aerodynamics package with a large front splitter and integrated flics in the front bumper. 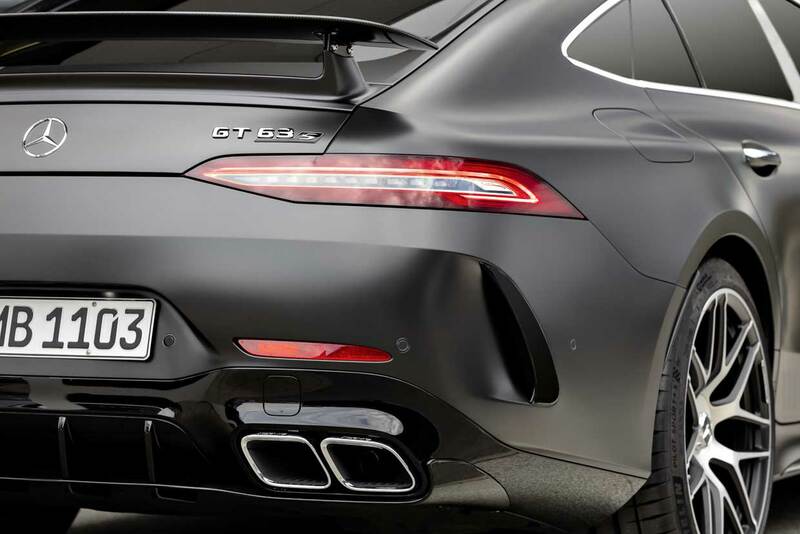 There’s an enhanced rear diffuser, and a fixed rear spoiler with mechanical adjustment. At 300 km/h (~186 mph), that spoiler adds 30kg (66 lb) of downforce. Carbon brakes, an exterior carbon fiber package, and other options are also available. 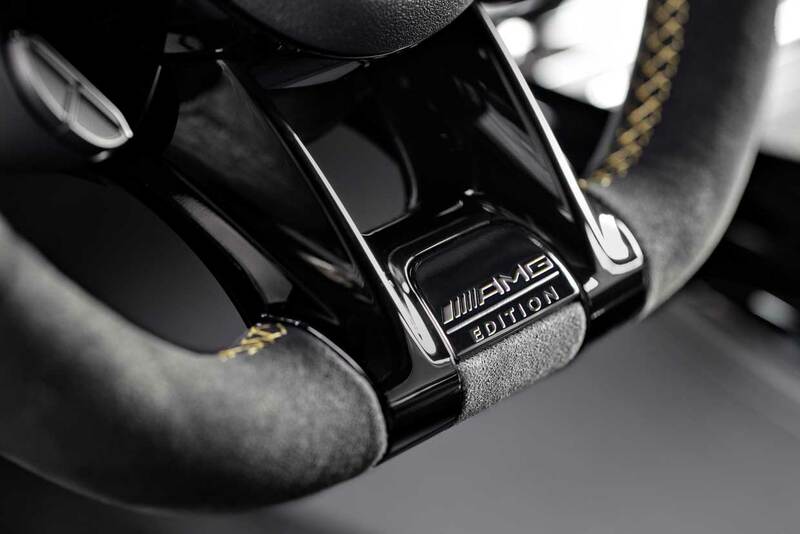 It rides on jumbo 21-inch cross-spoke forged wheels in matte black, and inside, Edition 1 cars get AMG performance seats, in black and grey Nappa leather with yellow contrast stitching. There’s loads of carbon fiber trim inside, along with yellow seatbelts and an AMG Performance steering wheel. All the cars built the first year it is offered will be Edition 1 models. After that initial 12 months, they will presumably lose the Edition 1 moniker. Pricing is unannounced at this point, but orders will be kicking off this summer.